After 4 weeks of public voting, the decision has been made! 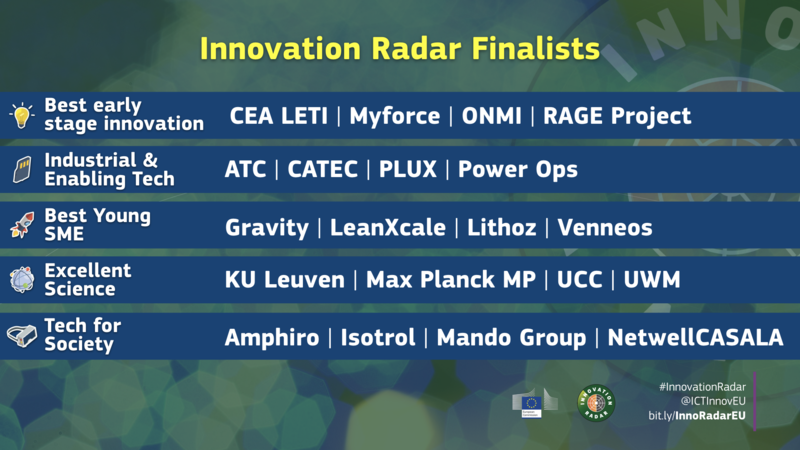 The whole team at MyForce is extremely proud to announce that we have been selected as one of the Innovation Radar Prize finalists. And we could not have done this without you – Thank you for all your votes and support. And now it’s up to us… During the ICT Proposers Day event in Budapest we will pitch our innovation to an expert jury. If you want to find out more about this event, have a look at the official announcement. Once again, thank you for support and we will of course keep you posted.